I'm trying to get some reviews done at the moment while I've got a bit of a lull in uni and at work. This beer is Madness IPA from The Wild Beer Co. based in England. For the most part these guys do different Saisons and from what I've been told this is their first real venture into hoppy beers. Everywhere that I've seen this recently I've been told to try it because people want to know what I think. Apparently this beer divides opinion like no other, you either love it or hate it! I'm always happy to offer my opinion on things, particularly beer, so let's see what I think. The beer pours quite a cloudy orange colour with a big fluffy cream coloured head. The head's size was very impressive and despite the large number of bubbles in the head it had excellent retention and left good lacing. It's certainly not your average looking IPA but it is a good looking beer, if the head is not maybe a little too large. Wild Beer's Madness IPA had one of the most gorgeous noses that I can remember. It was just jam-packed full of tropical fruit flavours; pineapple, melon, grapefruit etc.. And these fruity hops were complimented by a late pine hop aroma. There was also some sweetish malts as the beer warms and there is a distinct yeast aroma, maybe this is a homage to their saisons? In terms of flavour Madness IPA is certainly unique. It has great hop flavour and bitterness, with tropical fruits and pine the most prevalent flavours. The malt takes a more pronounced position than many west coast IPA's, especially as the beer warms. What makes Madness IPA stand out from the crowd though is this pronounced almost earthy yeastiness. It's certainly not a textbook example of the style. After careful consideration, over a month and 2 more of these since I started this review, I'm going to come down on the side of loving this beer. 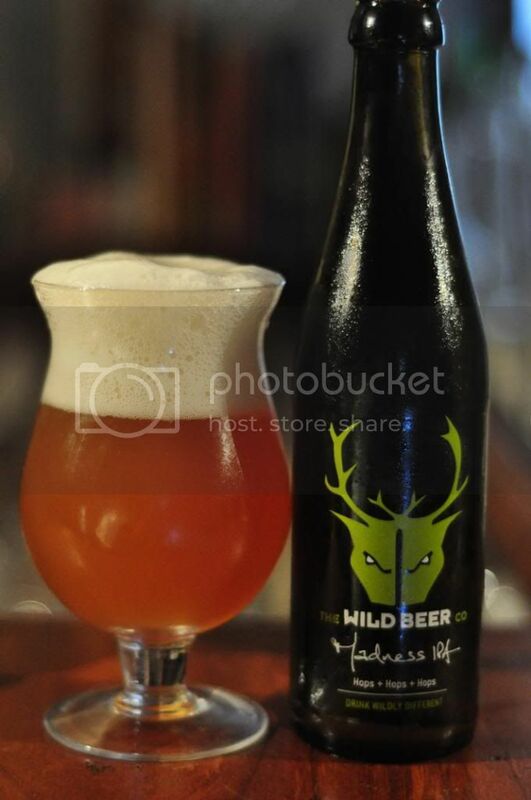 Wild Beer's Madness IPA is certainly not your typical take on an American IPA but I think it is a good one. 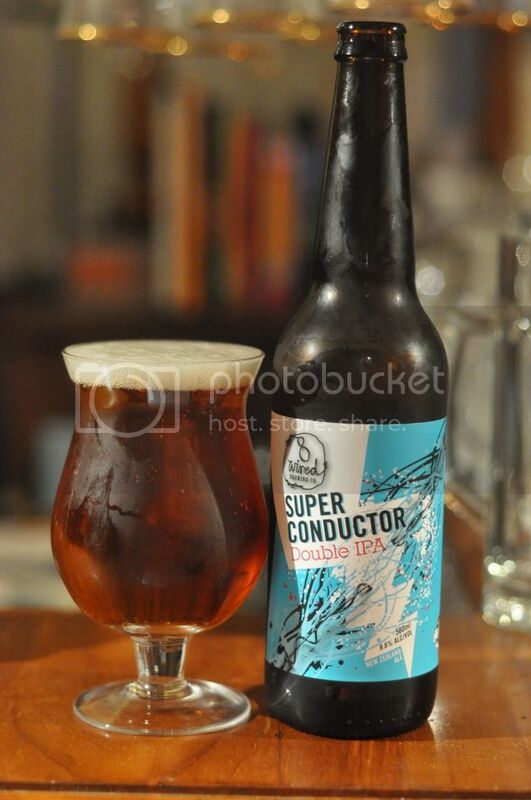 I reckon this one is worth a go for all IPA lovers, even if it's just to see which side of the fence you sit on.